Lock 'Em Up! 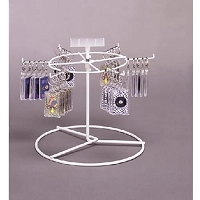 This 5 Shelf Acrylic Locking Display is a wonderful way to showcase all of your merchandise. 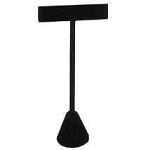 Beautiful, clear acrylic allows your products to be seen from all sides. This 5 shelf display contains a lock to keeps what is inside secure. This locking display case is great for jewelry, collectibles, electronics, game accessories, and more! 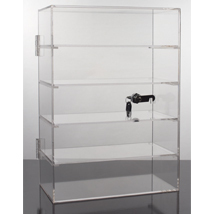 Fixed-height shelves in this acrylic showcase display are removable for taller items. Add this display case to your cart now! Good quality craftmanship. Clean clear presentation.